While photographing this bridal party on Holly Hedge’s bridge in the meadow, several members of this bridal party suddenly and unexpectedly brought out bottles of champagne. And shook them! 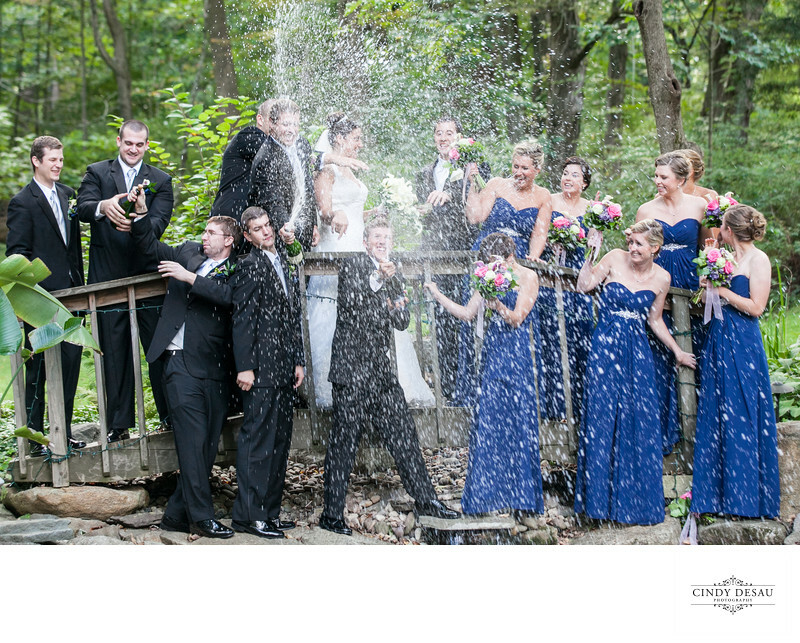 The exploding spray coated the bride and groom as well as the bridal party. I had to use a fast shutter speed to freeze this spray in midair. These candid wedding photos are hilarious as we see the frozen expressions of surprise on the bridal party.